When you want to lose weight, one of the most important things that you can do is get the right tools. Arming yourself with the right equipment always matters, and in weight loss this is no different. If you want to start losing weight and getting into better shape, though, it is absolutely essential that you make the right choices and changes. So, with that in mind, here are some of the top tools to assist with weight loss. Used accordingly, they can make a significant dent in your present weight, helping you to slim down to your preferred size. First things first: we need to sort out those portions. Investing in some accurate measuring cups and spoons will allow you to start managing portions better. This will help you to better track your food, too, making it easier for you to know what you are eating – and also how much of said food you ate. This will become essential for managing your food and creating an even healthier dietary plan. 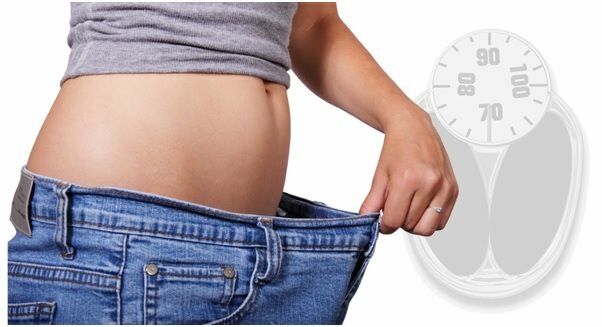 If you want to start losing weight, then a smart but simple investment will come down to making sure you get access to accurate measurements. Weighing scales are often overlooked when it comes to dieting, a simple, easy to use and easily accessible set of scales will make life much easier when it comes to choosing portion size and sticking to your set goals. Something akin to the popular Fitbit watch brand will make a fine starting point. These will help you to start seeing big improvements in lifestyle management as much as weight management. It will help you to start killing off those extra pounds and will help you to track other day-to-day analytics that matters when losing weight. Form helping you to see how much sleep you are getting to how much walking you are doing; these fitness watches make an essential aid in your weight loss regime. Now, you can begin to see how you are doing on a weekly basis! There are a wide range of fitness watch options available, so reviews of them should give you a better understanding of what would be the ideal buy for your needs. Remember that water resistance is a must if you plan to use it around a pool or even in very wet conditions. If you want to use a powerful analytical tool to manage key aspects of your weight loss, then a Body Mass Index (BMI) calculator is a must-have. This will vastly improve the way that you work out, you will be able to make some big differences to how you work out the entire calculations of your weight loss campaign. The calculator allows you to save precious time in working out your BMI whilst making it easy for you to get added accuracy in the actual results that you eventually receive. If you are someone who still enjoys that tang on the tongue from a can of soda, then getting into soda water is such a good idea. This is easier for you to drink and drinks like La Croix sparkling water gives you that full feeling without making you feel like you are drinking something without any flavor. Sparkling water is popular for those who want to help make it easier for enjoy a fizzy drink without all the sugar and added garbage. If you want to lose weight fast, then sparkling water like La Croix will make that easy! i	A quality spice rack. Spice racks can help you to start eating healthier and enjoying smaller portions of well-made foods. Spices make it easier to need to avoid the kind of food extras that contribute to weight gain. ii	A blender. Being able to make up smoothies and the like will make it so much easier to eat healthier and increase your fruit and veg intake. Armed with these tools, you should find that your eternal battle to lose weight just became a whole lot easier!